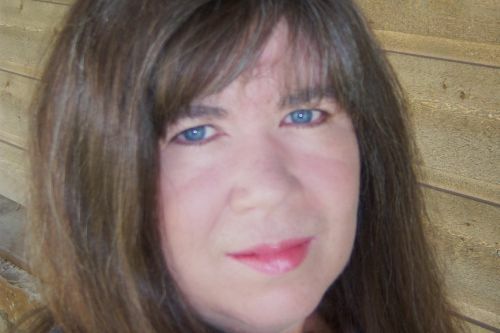 Livia J. Washburn is an American author of mystery novels, western novels, paranormal romance and historical fiction. Throughout hr career, Livia has written as Elizabeth Hallam, Livia Hallam, Livia James, J.L. Reasoner, Livia Reasoner, L.J. Washburn and of course, as Livia J. Washburn. She started dating her future husband, James Reasoner, when she was a senior in high school. While typing his manuscripts, she would think about how many different ways each story could go. She says while writing comes naturally to him, she’ll struggle and “bang her head on her computer.” Livia and James lived together in a house they built themselves, which they sadly lost to a fire caused by a neighbour. Notes: Tie a Black Ribbon, Crusade: Lyron’s Lament and Mockingbird and Big Earl were co-authored by James Reasoner. The Palmetto books were written as Livia Hallam, with James Reasoner. The Lucas Hallam and Wind River series along with the novels Epitaph, The Black Moon, Bandera Pass, Ghost River, Riders of the Monte and Red River Ruse were written as L.J. Washburn. The collection The Traditional West includes contributions by Jackson Lowry, Larry Jay Martin, Kerry Newcomb, Kit Prate, Robert J. Randisi, James Reasoner and Dusty Richards and credits Washburn as L.J. Washburn. The Black Moon contains contributions by Loren D. Estleman, Ed Gorman, W.R. Philbrick and Robert J. Randisi. The novels Yesterday’s Flame, Spirit Catcher and Alura’s Wish were written as Elizabeth Hallam. The Emerald Land was written as Livia James. Rivers of Gold, The Healer’s Road, Healer’s Calling and Cossack Three Ponies were written collaboratively with James Reasoner as J.L. Reasoner. The novels Crusade: Lyron’s Lament, The Vampire’s Affair and Mending Fences were written as Livia Reasoner. Livia J. Washburn Synopsis: In Yesterday’s Flame by Elizabeth Hallam, a firefighter named Annabel Lowell is sent from 2000 San Francisco back to 1906 and must deal with one of the worst earthquakes ever in recorded history. On the bright side, she also meets a fellow firefighter named Cole Brady. Does want to live in future (in the past) with impending danger forever?